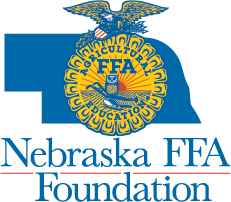 (LINCOLN) – The Nebraska FFA Foundation presented Mrs. Ann Dvorak with the 2016 Gary Scharf Helping Hand Award at the Nebraska FFA Convention on April 6. Ann Dvorak is the FFA Advisor for Rock County FFA. Numerous students, fellow teachers, community members, parents, and school officials supported her nomination of this award. Bethany Blackburn, former student, nominated Dvorak. She wrote that Dvorak has stepped up in the community with other members to work together and show commitment for the rural community that is declining in population. Dvorak helped establish the Rock County Growth Inc. and served on the Ranch Expo Board. Dvorak was also instrumental in helping nearby community, Keya Paha School, establish an agriculture education program. In addition, she showed concern for others needs after an FFA members family lost their home to a fire, Dvorak quickly responsed by organizing a food, clothing and furniture drive for the family in need. Kristine Gale, Director of Economic Development of Bassett, also supported Dvorak’s nomination. She commented how Dvorak serves on the Rock County Ag Society, Bassett Tree Board, and Rock County Expo Board. Gale said, “Mrs. Dvorak’s leadership is important because she is a young professional and serves as a role model for other young professionals to begin taking on leadership responsibilities in our community.” Gale acknowledges what Dvorak has done in the past year. She earned her master’s degree in December, while working full time and having her first baby. The FFA officer team at Rock County continued to prove why Dvorak was the perfect example of a great FFA Advisor and leader for the community. They wrote about how she started the Back Pack Program at their school. She also works with the Game and Parks Commission to have a pollination garden in the community. They feel that Dvorak has done much more in the school and community than what is expected of her. The Gary Scharf Helping Hand Award recognizes a Nebraska agriculture teacher or FFA advisor for what he or she has done in helping others, specifically in the school and community, outside of agriculture education and FFA. Ann Dvorak was announced as the award winner during the Nebraska State FFA Convention in Lincoln. She received a plaque and $500 cash award from the Nebraska FFA Foundation.